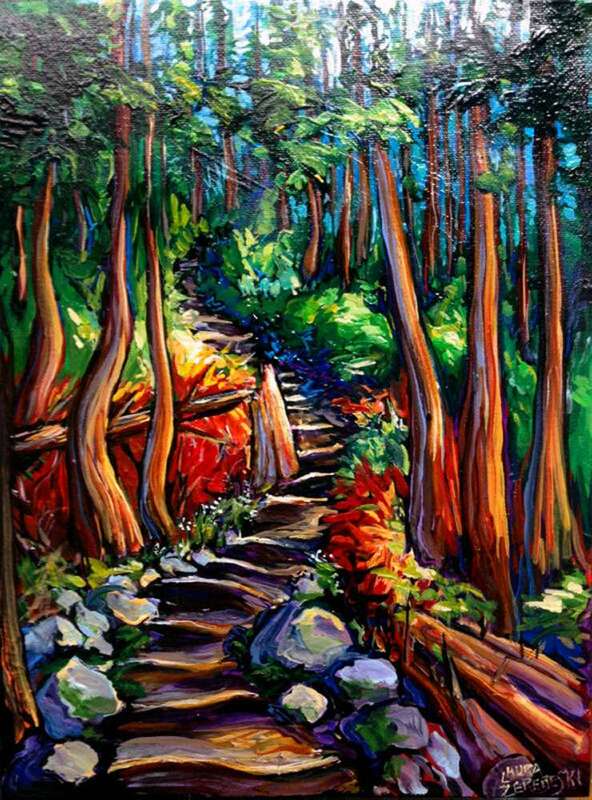 The Grouse Grind is a 3 km trail going up Grouse Mountain. 3 km might not seem like much but when it’s that steep, it feels a lot longer. It feels longer than two hours, which is the average time for a novice. Honestly, The Grind is kind of ugly compared to other Vancouver trails, at least until you get to the top and then you see the city of Vancouver sprawled at your feet and there’s a pub and a ride down to reward you. Kinda like heaven. This is something of an idealized view. There are a lot more steps missing and rocky places where you have to climb and not run. Sometimes it feels like fire and you can’t go on. Sometimes it feels like there’s forever left. Such is life.